We all know how important it is to sit down as a family and spend some much needed quality time together around the dinner table. On those nights when my whole family is home and free of activities I look forward to enjoying a good meal and catching up with everyone. But after a long week, sometimes just the thought of preparing a big meal that everyone will eat is daunting. Today I’m sharing an easy dinner idea that not only tastes delicious but takes me out of the kitchen so I can spend more time with my kids. Sunday nights tend to be our big family dinner. All four of us are home and it’s nice to have some time together before the week gets really hectic. I like to cook something warm and tasty on Sunday but I don’t always want to slave over the stove all afternoon. This week I chose On-Cor for our Sunday dinner so I could step out of the kitchen for a while. They have hearty entrées that are convenient and delicious; no frills just really, really good food. My kids picked out 6 Breaded Chicken Parmagiana Patties with Tomato Sauce and I served it with pasta and a crunchy salad. The best part about this meal is that On-Cor did the prep work for me, I just followed the super easy instructions, popped it in the oven and sat down to enjoy my family while our dinner cooked. 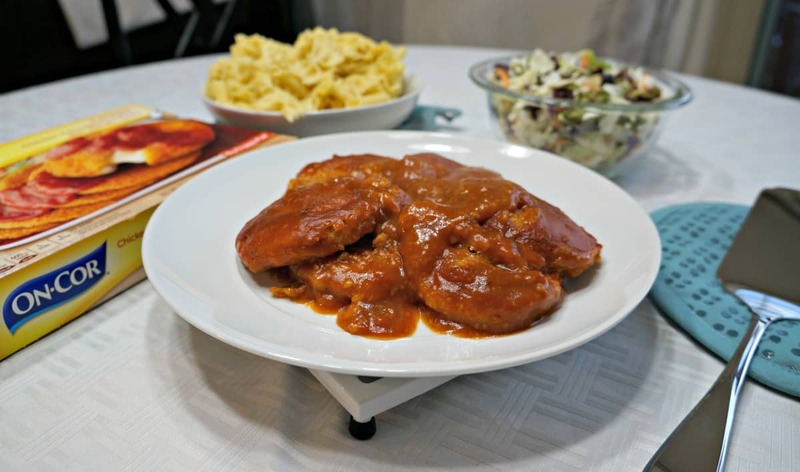 On-Cor has recently enhanced their products to satisfy the needs of moms looking for convenient, quality dinner solutions for their families. All entrées have no monosodium glutamate (MSG) added, and these Chicken Parmagiana Patties, made with white meat, are a good source of protein. We all know that being a mom is hard, there are so many other things I could be doing besides cooking a big elaborate dinner for my family. With On-Cor, we still get to enjoy that homemade flavor and a delicious meal, without Mom being stranded in the kitchen. My husband and I took this time to do a little crafting with our girls. 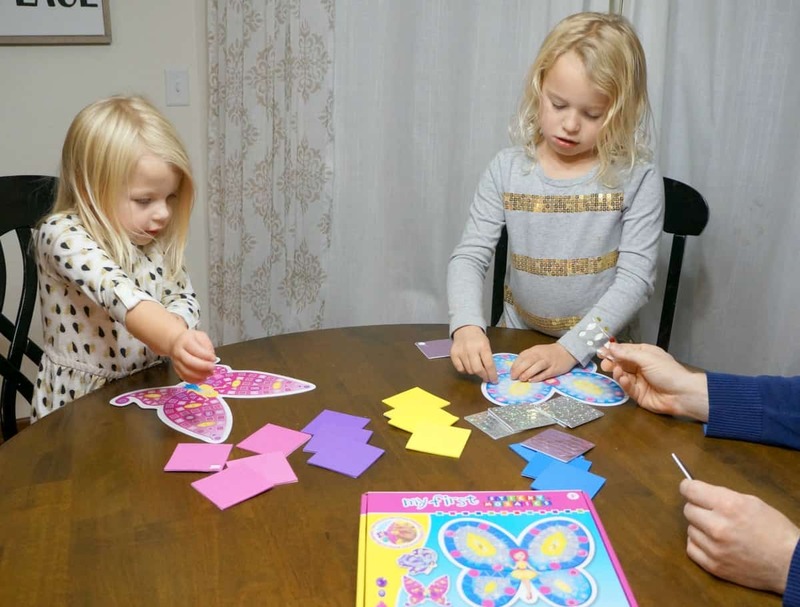 They love to create and we had just enough time to finish some pretty fairy creations before dinner. 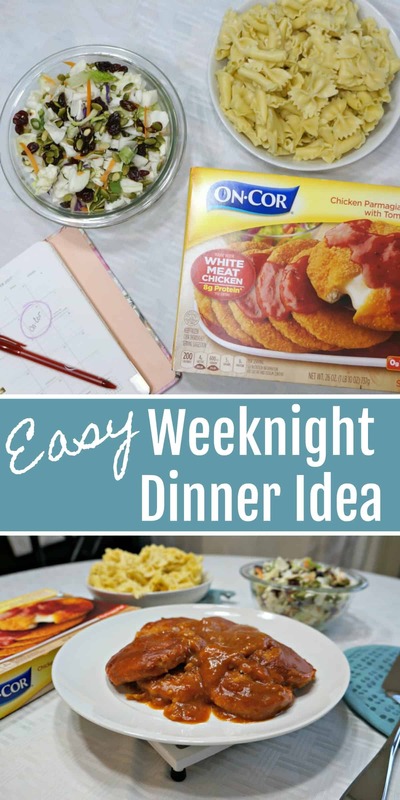 I loved this easy dinner idea and look forward to bringing home another variety of On-Cor for next Sunday’s dinner. 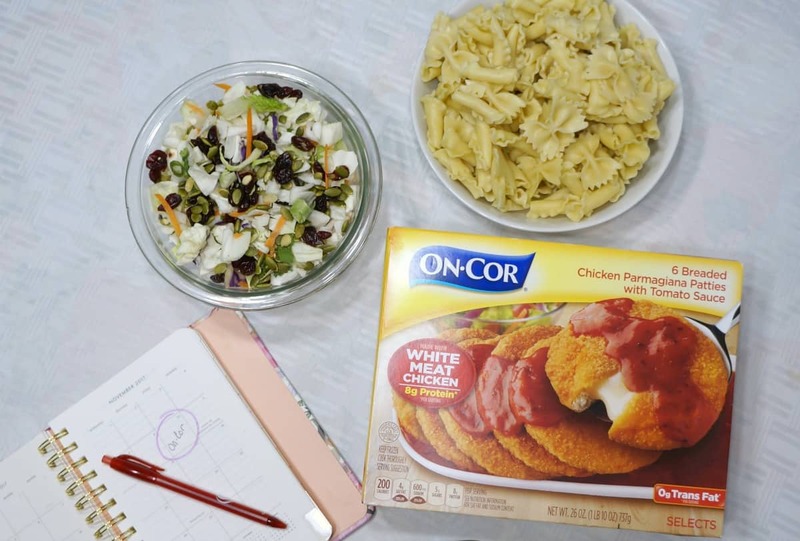 For your next family meal, head to the freezer aisle of your local Meijer or check out the store locator at www.on-cor.com to pick up one of On-Cor’s entrées. To make your family dinner even more enjoyable I want to give one lucky reader a prize package from On-Cor. 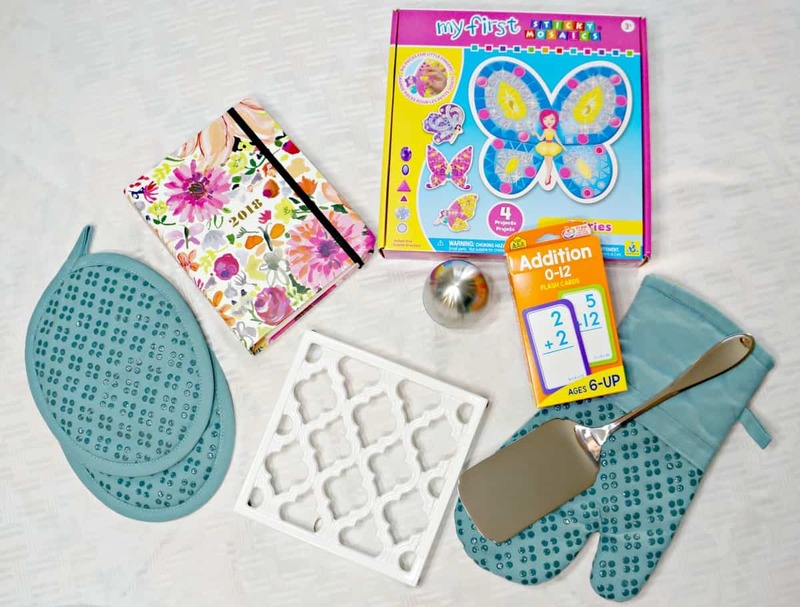 Just use the form below and you could win a prize pack just like this including a coupon for a free On-Cor entrée, some beautiful kitchen accessories, a planner and some crafts to use while your dinner cooks. I love the bbq ribs. I would spend more time outside with my family. I’ve never tried any, but I like to listen to good music while I cook. You have creative ideas on your blog. I have not tried OnCor before however, meal planning by the month is one of my goals for 2018. Do you have a meal planning menu with a calendar attachment? Mary Anne, I do not have a planning menu I use a calendar or planner like shown here and jot down what we are eating each day. I use the notes section in the back to keep track of family favorites and recipes.